Jobsite is excited to continue the Halloween tradition they created in 1999! 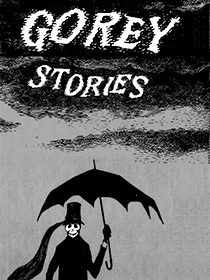 Gorey Stories, a play with live music, is a varied assortment of weird characters and humorous, horrid happenings drawn from the best of Edward Gorey’s monochromatic illustrated works such as The Gashlycrumb Tinies and The Curious Sofa. Gorey Stories is directed by David M. Jenkins, director of such previous Halloween hits as The History of the Devil, Dracula, Titus Andronicus and After Frankenstein. 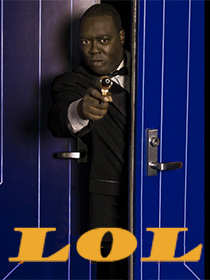 “A unique, odd, perverse and engaging entertainment. It is not an evening you are going to easily forget.” – N.Y. Post. 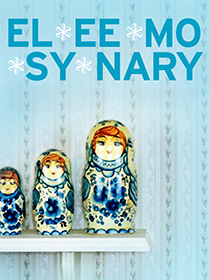 This contemporary classic of the theater was the winner of both the Tony and NY Drama Critics Circle awards when it premiered in 1968. Simply: Rosencrantz and Guildenstern are the college chums of Shakespeare’s Hamlet, and this is the story of what “really” happened behind the scenes. What were they doing there in Elsinore anyway? The Players come and go; Hamlet comes through reading words, words, words; foul deeds are done; Hamlet is sent abroad, escapes death; and in turn Rosencrantz and Guildenstern find their only true exit. “Everything can happen, everything is possible and probable. Time and place do not exist.” August Strindberg said that in his preface to A Dream Play, written in 1901. 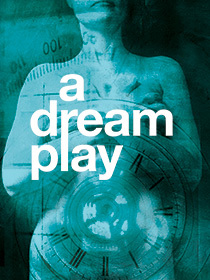 The very play itself is a dream about a girl from another world who discovers why people complain so much. After successfully tackling highly stylized works like Franz Wedekind’s Spring Awakening and Sophie Treadwell’s Machinal, Jobsite is eager to produce Strindberg’s groundbreaking experiment in surrealism with this brand-new adaptation by Caryl Churchill. Jobsite’s production of Churchill’s Cloud Nine was named Best Play of 2003 by Creative Loafing. Created by writer, director and Oscar-award winning actor Tim Robbins. Set in fictional “Gomorrah,” Embedded is a hysterical and audacious comedy-drama about the invasion of Iraq. Between the heavily satirized Office of Special Affairs and the tenderly depicted men and women serving in the armed forces, Embedded pits the journalists – conflicted between searching for the truth and submitting their reports (and paychecks) through the many gatekeepers struggling to keep the media on the “right” side. Through its quest to find the truth and fault across all party lines, Embedded finds its balance by incorporating actual journalistic reports from news sources such as the BBC and New York Times, some of which never made it into the American media. See more about this show. Tickets: Apr. 11 is a pass-the-hat preview. All other nights $5 at the door. FREE for Jobsite season ticket holders.